The Large "Wrestling" "Coaches Box" comes complete with 175 wrestling award pins... everything you need for a 15 dual meet season. The small "Wrestling" "Coaches Box" has only 100 pins. 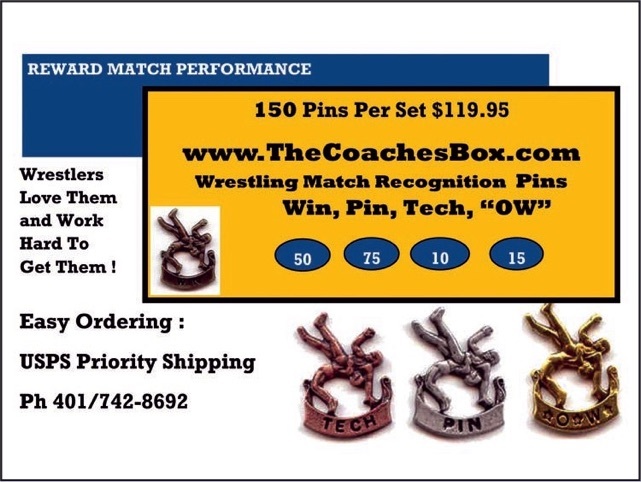 In addition each "Wrestling" "Coaches Box" has 15 Outstanding Wrestler pins to be awarded to the "OW" of each dual meet.